I'm back at home! And buried under work and laundry. 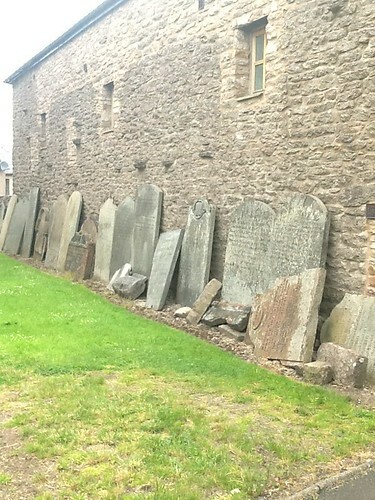 But once I am un-buried, I'm going to slowly start posting My Illustrated Summer Adventures In Edinburgh and England (aie, more than 400 photos to sort through). I think what I'll do is backdate each post to the proper day of our vacation, and then, when it's done, post an index to the whole thing. So if you'd like to take small bites, you can track my 'uk' tag (or maybe the posts will show on your reading page, I dunno; I will try not checking the box that says 'don't show' - any preferences? ETA: it won't let me do this, so you'll have to track the tag or check my journal occasionally) but if you want the whole enchilada giant Yorkshire pudding filled with beef stew, you can wait until it's all up. 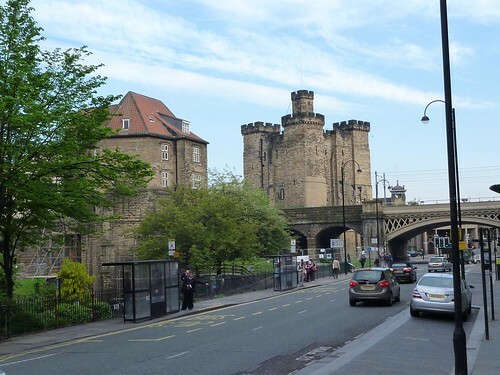 After spending a second night in Whitby, we boarded the bus for York; the York train station was the official end of the Sierra Club trip, and most of us were leaving that afternoon for Edinburgh or London or other destinations. The 'left luggage' office had an unbelievably slow line, since due to anti-terrorism measures every bag to be left there had to be opened and inspected, but Kris got the bright idea of checking with the hotel next door to the station, and sure enough, one of the porters was happy to let us leave our things there for a couple of pounds each. Thus unburdened, we were free to sight-see for a few hours. 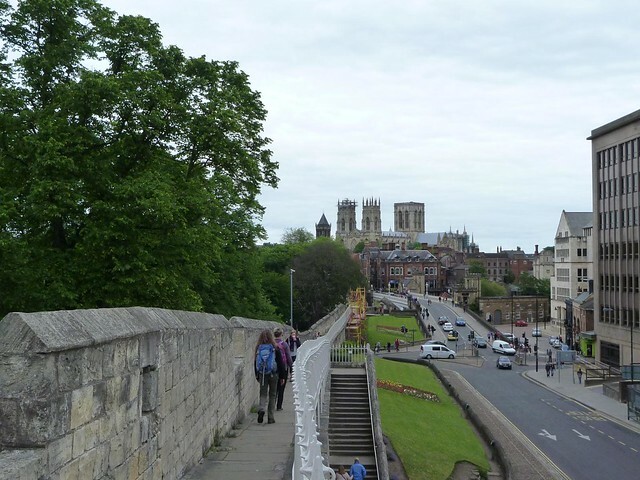 York is an old walled city dating to Roman times (when it was the military fort Eboracum), and they have reconstructed enough of the wall - mostly medieval-era but with a few Roman bits left - to make a walking path around its circumference. 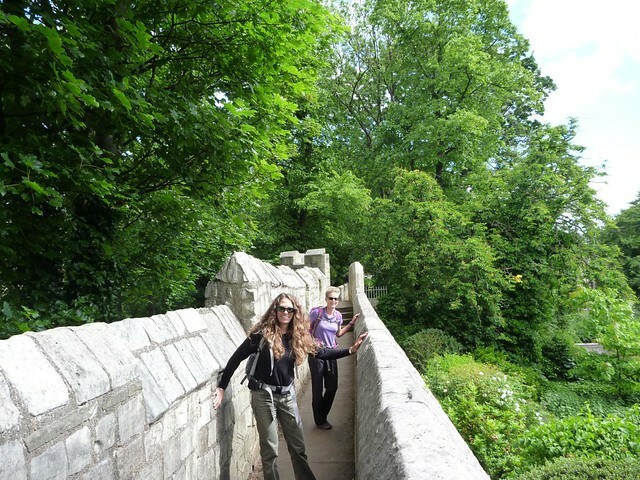 Naturally, having walked (mostly) across England, we (me and Britt and Kris) were ready to WALK MORE! 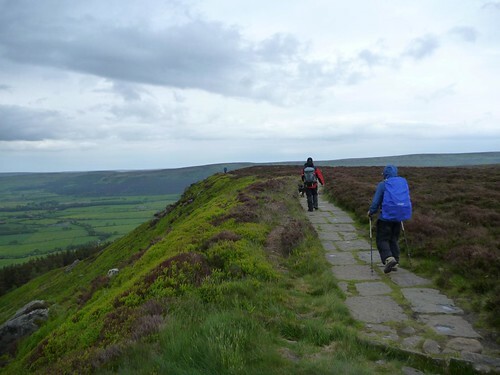 The 'official' Coast-to-Coast route continues across the moors to a place called Hawsker, where it picks up a footpath leading to the coast at a point about halfway between Whitby and Robin Hood's Bay. Most of the our group chose to take the bus to Hawsker and walk from there, for a five-mile finish to the two weeks of hiking. 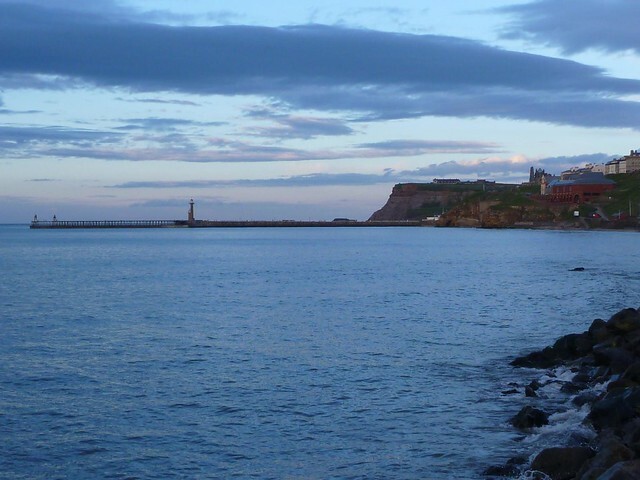 But the Cleveland Way - a trail system we'd followed for much of our time in the North York Moors - actually goes through Whitby and follows the coast all the way down, and Britt, Kris, and I opted to leave from the hotel and take this route to our destination. 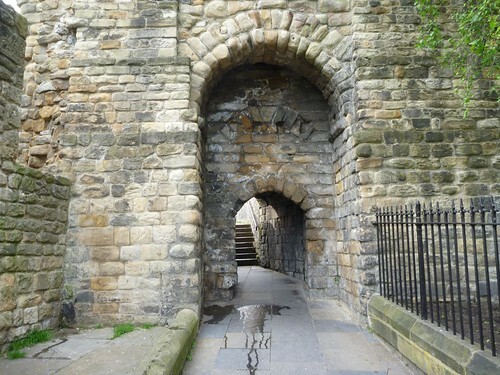 We walked down to the river, crossed the bridge, and climbed the stairs leading to Whitby Abbey. Just past the ruins we easily found the marked footpath, which took us to the cliff's edge. The path wound precariously along the top of the cliff. 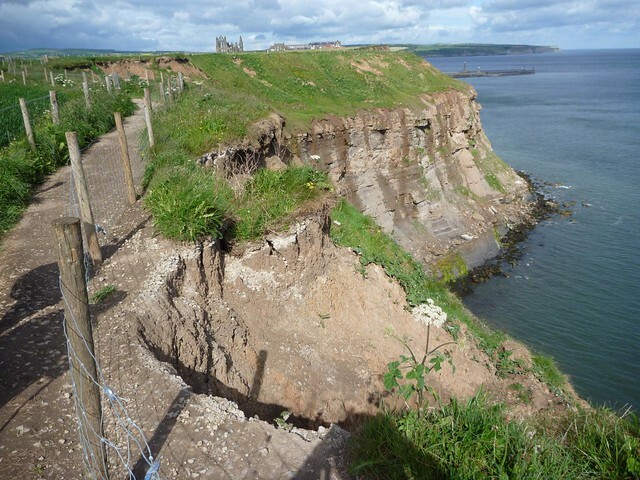 In many places the path veered dangerously close to the edge - or rather, the edge had eroded dangerously close to the path. Farther along the route we talked with another walker, a teacher who'd lived in the area for twenty years, and he told us that they'd had to relocate the path as the cliff fell into the sea. From the Lion Inn (at the end of the last update we took the bus to Whitby. We'd spend two nights here at the Saxonville Hotel, a small family-owned hotel in the West Cliff area. We had a couple of hours to walk around before what turned out to be a very delicious dinner (I had a lemon ginger squid starter followed by a a sea trout and watercress tart) at the justifiably famous seafood restaurant Magpie's Cafe. 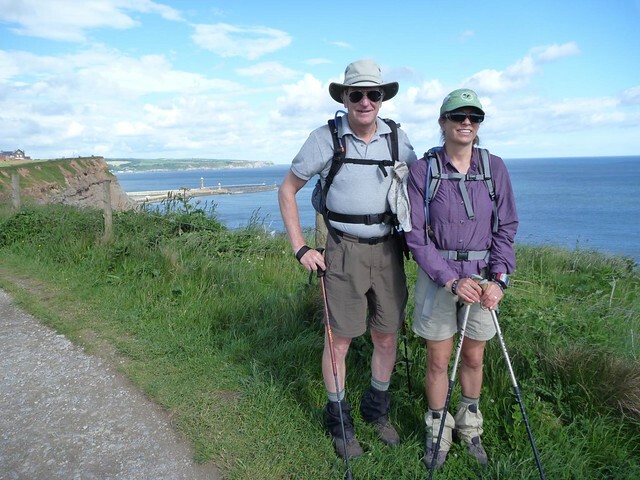 The next day we walked to Robin Hood's Bay, the actual end of the C2C, and then took the bus back to Whitby to tour the dramatic Whitby Abbey ruins. 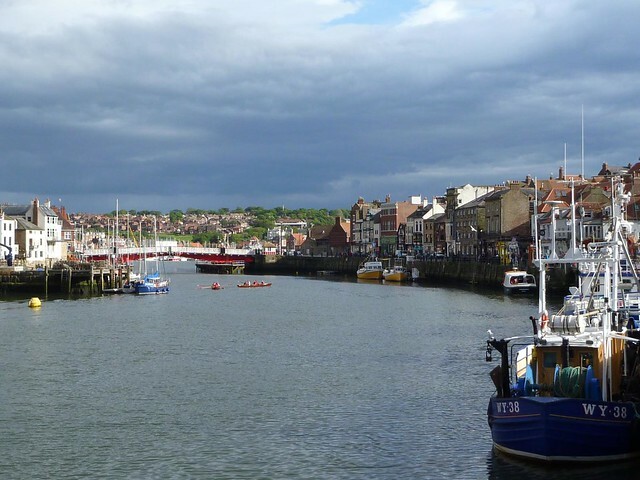 I've decided to put the Whitby (town and abbey) pictures in this post, and the walk to Robin Hood's Bay in the next, just to break things up logically. I promise amazing photos in both sets! We started this day's hike by getting lost. We had walked up the obvious dirt road, but the actual trail had started at an overgrown gate in the stone wall along the road, and we ended up having to backtrack over a mile to get on the proper trail. 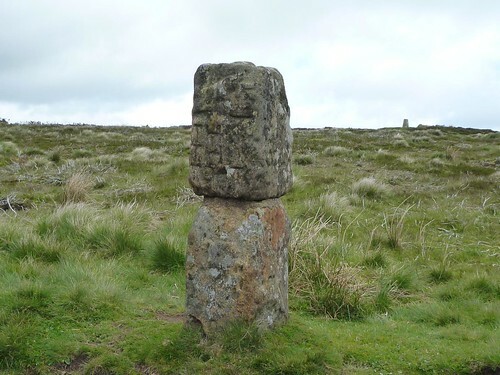 According to the guidebook, though, this was nothing new: in 1711, the justices of Yorkshire decreed that guideposts should be erected on the moors to aid travelers. Our bus took us to the edge of the North York Moors national park, where we met Mike, our local guide for the day, along with his dog who would be accompanying us. We started up on a forested path but soon came out on the heather-carpeted moor tops, where we could see for miles despite the cloudy day. In the distance we even make out the North Sea - finally, we were nearing the far edge of England! 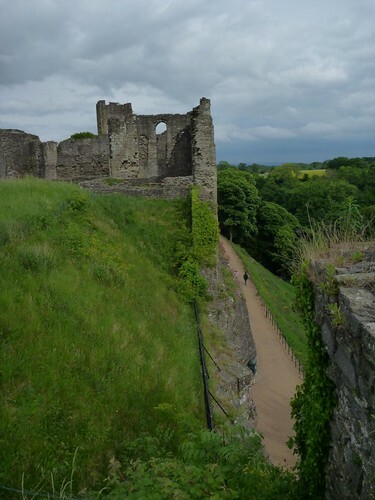 We had a layover day in Richmond, which is something many C2C'ers do, as Richmond is a relatively large town with many things to see and good shops. Our group had been parceled out again among several B&Bs; Britt and I stayed at the Frenchgate Guest House (our room was the one in the center photo in the photo bar at the top of the page) which is a lovely old townhouse. Ralph, the owner - a retired engineer who's owned the place for eleven years - said that among the building's legal papers are the original deeds for the two houses that were combined to form the current house. From 1457. In Latin. In the morning we met for a city tour given by a volunteer who, alas, was not a very good tour guide. A lot of standing around, a few rambling stories, a few indications of what might be interesting without actually going in or seeing these things. And then it started raining. But we did get an idea of what we wanted to see during the afternoon, which we had free. My ankle was still swollen in the morning, but I didn't care; no way was I going to be deprived of a second day of my vacation, especially since the day's walk would only be about seven miles. After a leisurely breakfast we strolled down the road into teeny-tiny Keld, where we poked our heads into the one-room museum and the small 'Well Being Garden' while we waited for Jon and Maura, the local walkers who'd be our guides. Or just look at the 13 photos on Flickr. 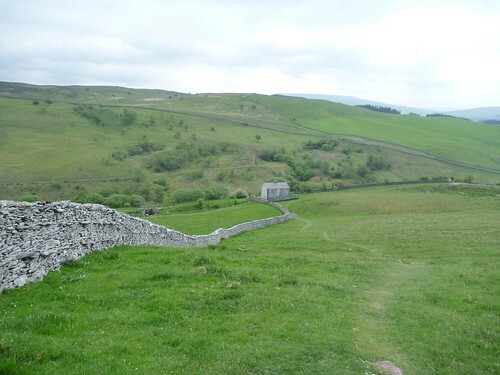 When I woke up, the swelling in my ankle had decreased a bit, but it was still painful enough walking downstairs for breakfast that I knew the smart thing to do would be to take a taxi to Keld, rather than walking the 12 miles. I hung onto Britt's iPad (rather than having him pack it to be transported to Keld Lodge) and bravely told him to enjoy himself on the hike. To be honest, I was kind of excited about a day to myself, after so much situationally-enforced group togetherness. Plus, it was a cloudy day and it looked like it might start raining any minute. 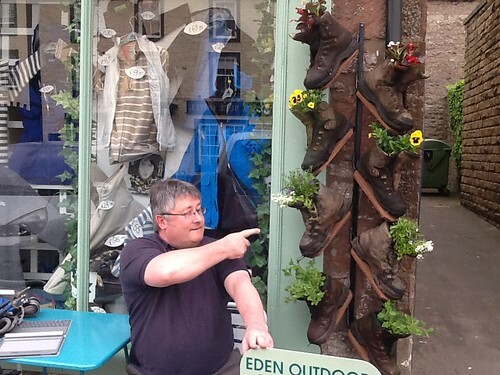 After a couple of lazy hours in the B&B's living room, drinking tea and using their wifi, I was ready to explore Kirkby Stephen. The first thing I did was head to the pharmacy, to pick up some more ibuprofen - I was almost out of the small supply I'd brought - and some paracetamol with codeine. Then I strolled down to the bridge over the river Eden (the name of the town is thought to be a corruption of 'Kirkby-on-Eden'). 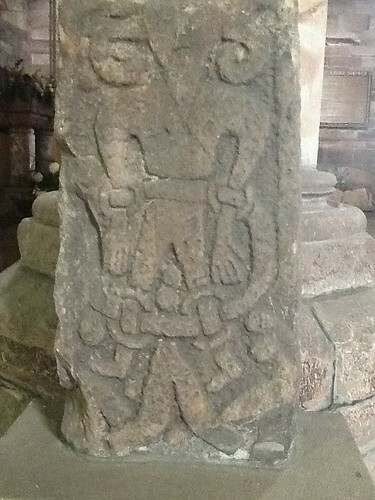 I visited the parish church, which has an 8th century carving of the Norse god Loki (one of two known carvings of this type, and the only one in Britain) - it was found among the gravestones that lie against the churchyard wall (which are also quite picturesque, though not as old). Around two in the afternoon I decided it was time to head for Keld, so I went over to B&D Taxi to arrange a ride. It turned out I was just in time, as they hold the contract for school transport and were gearing up to do the afternoon school run, but one of the drivers gave a quick call to the owner to let her know he was running me over to Keld first, and we were off. I sat up front with the driver and we chatted the whole time; he pointed out various things of interest, waterfalls and stone barns and the place where a snowplow went off the road last winter, and told me about his own long-distance walks (he'd done the coast-to-coast and some other routes as well), and about his family (his father's 80th birthday was that weekend, and his children were coming from around the country for a party). All told, it was a worthwhile expenditure of £25, and I got to see quite a bit of the same scenery I would have on the walk. 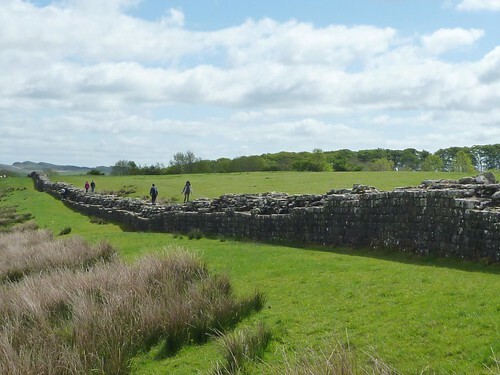 Keld is a teeny-tiny collection of about a dozen stone buildings. The Keld Lodge, where we were staying, sits by itself on the road above the town; it used to be a youth hostel but is now a B&B, with a bar in the reception room and a couple of picnic tables outside. The manager, a skinny guy who (at least in my eyes) resembled Tobias Menzies, poured me a pint of Black Sheep Bitter, and I went out to sit in the sun, which was just beginning to peek from behind the clouds. Two older couples soon joined me; they had walked six miles up the Swale to Keld from Gunnerside, and would return on a slightly different route, which they said was their favorite hike, and they did it yearly. We talked until they finished their drinks and went on their way. Shortly afterwards, a coast-to-coast hiker came in for a beer, and to use the nearby pay phone to call his B&B to pick him up; then another arrived, then another. I ended having a wonderful time conversing with other walkers (and drinking quite a bit of delicious ale!) until my own group finally started to drift in. I was hoping that Britt would play 'guest writer' and give me a blog entry for the actual hike on this day, but he's been really busy getting ready for a business trip. I did, however, put some of his photos up on Flickr, so you can see what I missed. Alas we did not get to do the last bit of the Coast-to-Coast within the Lake District, Patterdale to Shap; instead our tour bus took us from Glenridding to a tiny spot on the road in the middle of farmers' fields, by a pond called Sunbiggin Tarn. The leaders headed across the fields at what seemed like a fairly random point, despite the C2C signpost just a few hundred yards down the road. It wasn't a bad cross-country jaunt. We flushed several pheasants, which exploded from the grass in great whirring flutters of wings, and soon we intersected the proper trail and turned onto it. You are probably looking at this post's subject and thinking, "huh, she misspelled 'Air Force', and what does that have to do with hiking, anyway?" And that was my thought when I noticed those words on the map of hikes around Glenridding (same map as linked from the previous post), as Britt and I planned what to do with our second free day. 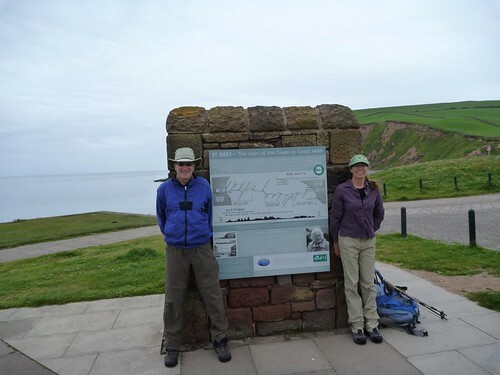 On our "Connoisseur's Coast-to-Coast" walk, in addition to skipping the less interesting bits of the standard C2C route, we would also have the opportunity to walk in additional places that are not on the standard route. 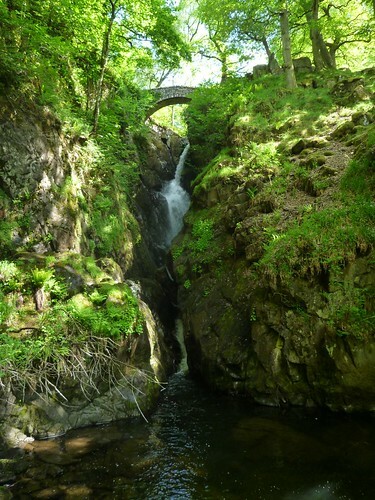 Our itinerary included two extra days in Glenridding for optional things; naturally, Britt and I chose to Walk More! As on the previous day, we left from our inn to walk all the way to our next night's lodging, which made me feel a bit more like a Genuine Coast-to-Coastie. Derek came with us again, but this time he gave us gazelles the go-ahead to lope on ahead and take a more interesting route: after climbing to the saddle above Grisdale Tarn (a high lake), he directed us to turn right and go up the steep route to the summit of 2,864-ft high Fairfield Pike. 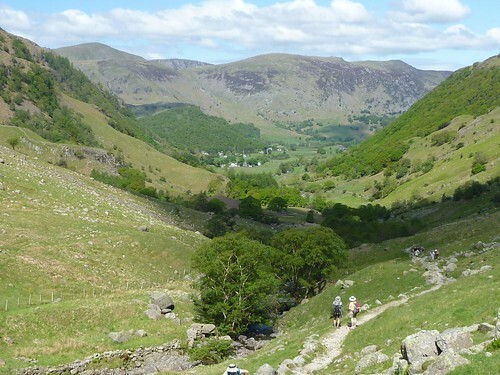 Then we could follow the ridge north to the slightly lower St. Sunday Crag and from there descend near the village of Patterdale and walk the mile or so along the road to Glenridding. Four of us - me, Britt, Kris, and Aleta - opted to do this; the others would descend Grisdale (the valley), an easier and slightly shorter walk. We were happy to do so, as once the path steepened most of the group slowed considerably. We skipped on ahead, taking a snack break at a lovely little waterfall, then climbed to the saddle, where quite a few other walkers were resting on a stone wall running its length. 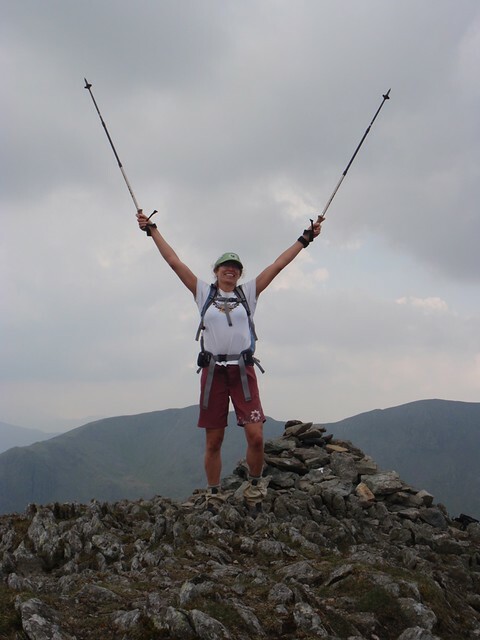 We could also see a steady line of people on the steep zig-zag of a trail on the far side of Grisdale Tarn, ascending Dollywaggon Pike on the way to climbing Helvellyn, the third highest peak in England. I'm not doing a very good job of updating my journal from the trail, as although we usually have net access in the evening I have to share Britt's iPad with him, and we are pretty busy with other things. I can do a little with my Kobo e-reader, but there's no keypad (as there is for the iPad) so I'm disinclined to type much. However, I do manage to type a sentence or two most days to Facebook, and there are a few photos as well: http://www.facebook.com/ilanarama (publicly viewable - you don't need to be a fb friend or, I think, even have an account). Aha, it is a link, click here! In the morning we had breakfast, packed our things and left them downstairs for the transportation service to pick up, and then met Derek, who would be our local guide for the day. Derek is part of the Cockermouth Mountain Rescue Team, and that morning we had no idea how relevant this would be. These and more photos - 12 in all - at Flickr. 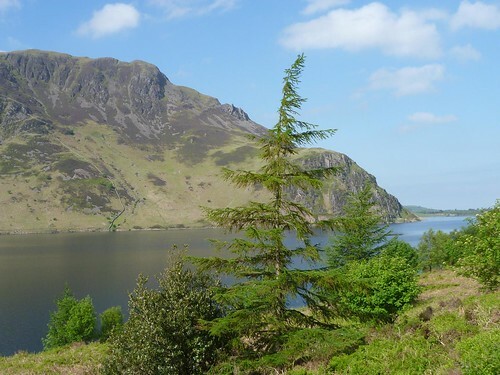 As this was a cheatin' c2c, instead of rolling out of bed and starting our walk, the bus took us to the parking lot at Ennerdale Water and the beginning of our sojurn in the Lake District. Now, I personally would call Ennerdale Water a 'lake', but - as Barry, one of the local hikers we were with corrected me - it is a water. 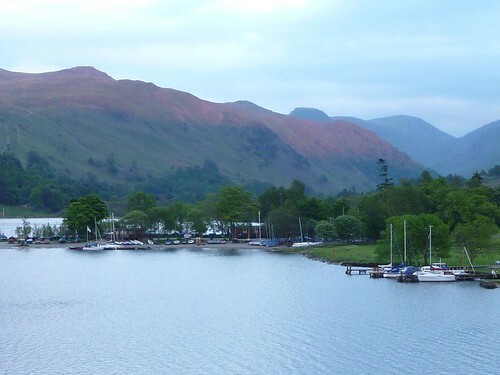 So are most other so-called 'lakes' in the Lake District; they are either waters (e.g. Ennerdale Water, Ullswater), or meres (Buttermere, Grasmere) or tarns (used only for the high lakes and ponds formed in mountain cirques, like Grisdale Tarn, which we would pass the next day). The only actual 'lake' is Bassenthwaite Lake - which is why, according to Barry, it's the Lake district, not the Lakes District. Whatever. Looks like a lake to me. Early Saturday afternoon we got on a train heading west to Carlisle; we'd spend the next two weeks going back across the country that took only a couple of hours to cross by train. We checked into our B&B and unloaded our gear, then headed to a restaurant where we met the rest of the participants on our trip (including zebra363). From here on out, pretty much everything was taken care of for us (both logistically and financially), which made for a much more relaxing vacation than our usual! After dinner, Britt and I took advantage of the looooooong daylight hours this time of year to walk around Carlisle, which began life as a Brythonic settlement, became the Roman fortress-town of Luguvalium, but was most marked by the conflict between England and Scotland, who traded the town back and forth between them until the 17th century.